Are you looking to get Multifocal Contact Lenses without prescription? If yes, then you have landed just at the right place! Multifocal Contact Lenses, also called progressive lenses, are designed to treat presbyopia, the inability to focus on near objects. This condition develops as we age. What makes multifocal contact lenses different from usual contact lenses? Unlike single vision contact lenses that treat one vision problem, a multifocal lens is a combination of different powers in one lens. A multifocal lens can address different vision problems and help you see objects at any distance. It is recommended for people who do not want to be inconvenienced by the need to put on reading glasses whenever the need arises. It gives you the ability to see clearly in any condition without having to change your eyewear. Initially it requires some adjustment as your eyes learn to focus using the lens, but after the adjustment period, you won’t have to worry about switching prescription glasses to get clearer vision ever again. In a way it eliminates the need of having to adjust your glasses every time. And the best part is that we have some of the best brands in these multifocal contact lenses available with us. You can buy these contact lenses without prescription here with Contact Lenses 4 Us and save yourself from all the hassle. Have a look at the wide range of lenses that we have available for you. So, throw away your reading glasses and get a pair of multifocal lenses now! The added flexibility of using a disposable lens will ensure that your vision problems will never have to interfere with your lifestyle again. What are you waiting for? Check out the options, or consult your optometrist once to figure out which contact lens you ought to buy. And once you are done with the consultation, place your order with us and we will deliver these multifocal contact lenses without prescription at your doorstep! 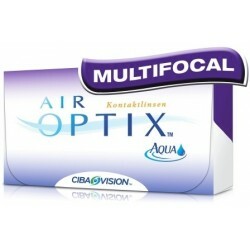 Multifocal contact lenses There is 1 product.